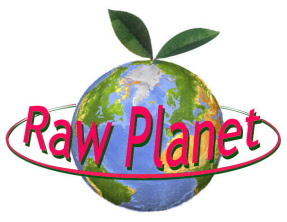 We are now pleased to be able to supply totally raw Organic Virgin Coconut Oil. Our Virgin Coconut Oil is a truly unrefined raw coconut oil made from organic coconuts. Virgin Coconut Oil is a food, and is one of the best cooking oils you can use. It has been a staple cooking oil for thousands of years in tropical climates. As a cooking oil, its chemical structure is kept intact and therefore is resistant to mutations of fatty acid chains even when used in higher cooking temperatures, unlike most vegetable oils. Research shows that the medium chain fatty acids found in coconut oil boosts the body's metabolism, raises body temperatures, and helps provide greater energy which can lead to weight loss. Virgin Coconut contains lauric acid which is also found in human mother's milk. Dr. Mary Enig, PhD, a world expert on oils and fats, suggests the average adult include about 3.5 tablespoons of coconut oil per day in their diet. "Coconut oil has a unique role in the diet as an important physiologically functional food. The health and nutritional benefits that can be derived from consuming coconut oil have been recognized in many parts of the world for centuries. 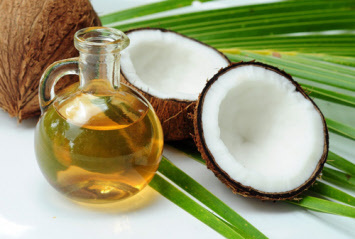 A review of the diet/heart disease literature relevant to coconut oil clearly indicates that coconut oil is at worst neutral with respect to atherogenicity of fats and oils, and in fact is likely to be a beneficial oil for prevention and treatment of some heart disease. Additionally, coconut oil provides a source of antimicrobial lipids for individuals with compromised immune systems, and is a non-promoting fat with respect to chemical carcinogenesis." Is The Coconut Oil Heated in its Processing? No - not at any stage in the manufacturing process. Commercial coconut oils, by contrast, undergo steam deodorization at temperatures of around 400 degrees. Coconut oil is NOT destroyed or changed chemically in anyway from its original form by using low heat. Unlike other plant oils, the medium chain fatty acids are very resistant to any change via heat. Even commercial oils heated to a very high temperature have their medium chain fatty acids kept in tact. This makes coconut oil one of the best oils to use in cooking, because it does not break down easily. Many have expressed concern that even low-level heat can destroy enzymes and other beneficial nutrients in coconut oil. But one needs to consider that this is a tropical oil from a tropical plant grown in a very hot climate. The oil inside an airtight coconut still growing high up on a coconut tree will already see temperatures up to 50 degrees C during its growing season. Laboratory tests done on VCO, for example, have shown levels of Vitamin E that are 30 times more than commercial refined coconut oil. 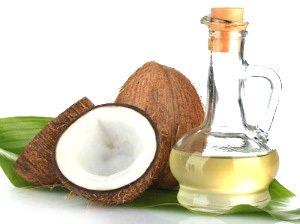 As to enzymes, they are present in the coconut meat but not in the oil. One would not want enzymes in the oil as it would break down the oil and cause it to go rancid. So there is no coconut oil on the market that would contain enzymes. You need to eat a coconut fresh off the tree to benefit from plant enzymes. All plant-based oils are separated from the plants they grew in, and do not contain appreciable amounts of enzymes. So it is a myth that there are coconut oils on the market that are "live" and "see no heat." Coconuts are native to the tropics, where temperatures are very hot. Any coconut oil distributed anywhere has "seen heat." Our Philippine virgin coconut oil is processed by centrifuge & has a very mild flavour & sweet taste. Our 100% pure coconut nectar is made from the sweet nectar of the coconut tree flower blossoms. Coconut nectar is easy to use, tastes great, low glycemic and high in nutrients. Coconut nectars have been used for 6000 years and have a proven track record for providing healthy nourishing sweetness for the human body. 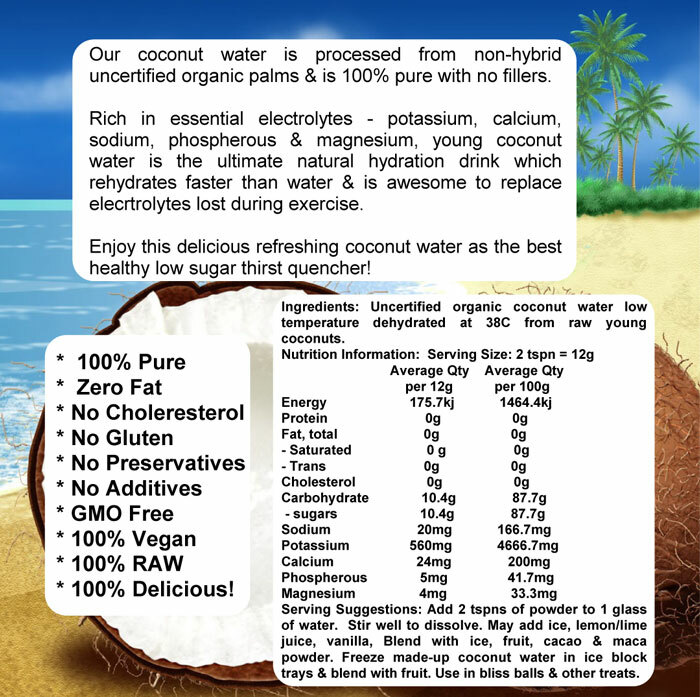 We are pleased to offer 2 coconut nectars: light and dark. - Our light coconut palm nectar has a mild flavour, similar to a wild flower honey. - Our dark coconut palm nectar has a rich buttery caramel flavour, similar to maple syrup. Serving Suggestions: Enjoy as a sweetener. In recipes, replace the sugar quantity with 65% coconut nectar. Coconut nectar is naturally low on the Glycemic Index (GI), which has benefits for weight control and improving glucose and lipid levels in people with diabetes (type 1 and type 2) and produces slow release energy. Coconut palm nectar is high in Potassium, Magnesium, Zinc and Iron (similar to coconut water) and is a natural source of the vitamins B1, B2, B3, B6 and C. It’s also very rich in other minerals and enzymes which aid in the slow absorption into the bloodstream. 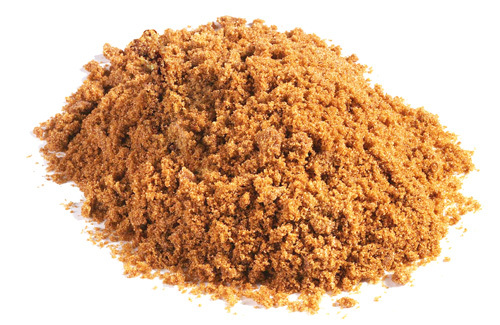 Please note that some coconut palm sugar on the market is also mixed with cane sugar and other malt-based ingredients. Our coconut palm sugar is PURE coconut palm nectar. No cane sugar added. No maltodextrin added. Just pure, unadulterated coconut palm sugar made from 100% coconut palm nectar from Coco Nucifera, the green coconut tree. Our dark coconut palm nectar has a rich buttery caramel flavour, similar to maple syrup. 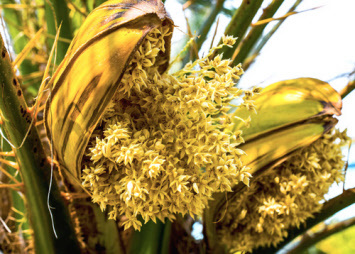 Our light coconut palm nectar has a mild flavour, similar to a wild flower honey. Compared to cane sugar, coconut trees produce 50-75% more sugar per acre but use less than one fifth of the soil nutrients and water, making Coconut Sugar an extremely sustainable product. 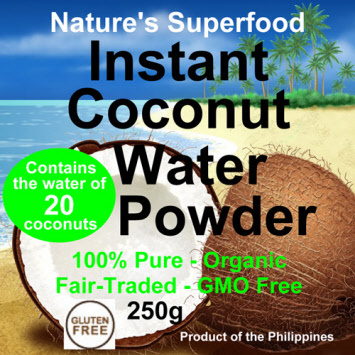 Coconut Sugar is naturally low on the Glycemic Index (GI), with a rating of 35. In comparison, most commercial Honeys are GI 55 and Cane Sugars are GI 68. Low GI ratings allow for a slow release of energy, efficiently fuelling your day-to-day activities and avoiding the “highs” and “lows” associated with most commercial sugars. Many people with a sensitivity for Fructose have found Coconut Sugar to be beneficial since it is primarily Sucrose based (up to 89% depending on the crop). However, it is important to note that it contains very small amounts of fructose. Another point to consider is that Sucrose itself is a disaccharide made up of a combination of Glucose and Fructose so the exact amount of Fructose may vary accordingly. Due to its rich mineral profile, Coconut Sugar has numerous health benefits but like all concentrated foods, it should be enjoyed in moderation. Our Coconut Sugar is unfiltered and preservative free. It has a low on the Glycemic Index (GI) of 35. By comparison, most honey has a GI of 55 and cane sugars have a GI of 68. Coconut Sugar also has a nutritional and mineral content that is richer than most other commercially available sweeteners. When compared to brown sugar, Coconut Sugar has twice the iron, four times the magnesium and over 10 times the amount of zinc. Many people with an intolerance to fructose have found Coconut Sugar to be beneficial since it is primarily sucrose based (up to 89% depending on the crop). However, it is important to note that it isn't entirely fructose free and can contain between 3 to 5%. Another point to consider is that sucrose is a disaccharide made up of a combination of glucose and fructose, so the exact amount of fructose may vary. Yogyakarta in central Java is the home of the Indonesian villagers who grow and harvest our Coconut Sugar. They use a centuries old technique to provide us with this healthy sweetener, which in turn ensures a steady source of income for their community. Our Coconut Sugar gives these farmers the potential for a better life. This is a unique tradition of the Javanese and they are known to produce the best quality Coconut Sugar. Farmers climb the coconut palms and collect the sugar blossom nectar by gently slicing the flower. Click on the video below to see them doing it. Once harvested the nectar is transferred into kettles. The evaporation process lowers the moisture content of the nectar before it is allowed to set into a solid nectar "brick". 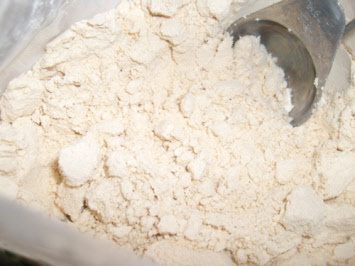 Once the nectar has cooled and solidified it is then ground into granules. Tropical palms are an ecologically beneficial tree crop that grow in diverse, wildlife supportive agro-ecosystems, restore damaged soils and require very little water. In fact, since coconut palms can grow in such severely depleted soil, using so little water, that they require very little maintenance. Not only that, but over time they actually improve soil structure, fertility and water conservation, thereby allowing marginalised land to become lush jungle. This has led many traditional communities throughout the world to consider coconut palms as the “Tree of Life”, as one tree can provide a multitude of usable goods, such as roofing material, food, coconut water, building material and shade for crops. 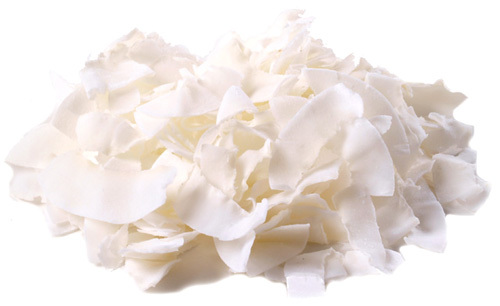 Our Shredded Dessicated (dried) Raw Coconut is processed under 60C and certified organic and sulphite free. Most dessicated coconut is heated above 60C and preserved with sulphites. 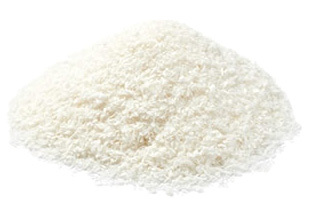 Coconut is a rich source of Lauric Acid (antifungal, antimicrobial). It is also a rich source of dietary fibre.